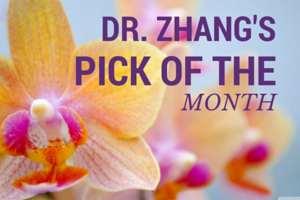 Dr. Zhang’s Pick of the Month: What do I do after a failed embryo transfer? All the doctors at New Hope Fertility Center and patients hope that everyone would have a good result from their treatments, and we are all looking forward to be able to help many couples and women achieve their dream of being a parent. Read more: Dr. Zhang’s Pick of the Month: What do I do after a failed embryo transfer? drjohnzhang, March 3, 2016. No Comments. Category: Embryo Transfer, Fertility, Frozen Embryo Transfer, Genetic Screening, IVF Treatment, New Hope Fertility, PGD, PGS, Pick of the Month. Dr. Zhang’s Pick of the Month: Who can benefit from PGS? According to research, the miscarriage rate increases as a woman gets older. Women who are undergoing IVF treatment can benefit from Pre-implantation Genetic Screening (PGS). PGS evaluates an embryo to determine if it has the correct number of chromosomes. Having too many or too few chromosomes is evidence of a genetic defect. This test does not look for specific diseases, rather it aims to identify embryos that have an abnormal number of chromosomes. As a woman ages, the chance of her having embryos with an abnormal number of chromosomes rises. Read more: Dr. Zhang’s Pick of the Month: Who can benefit from PGS? drjohnzhang, January 7, 2016. No Comments. Category: Dr. Zhang, Fertility, Fertility Treatment, Genetic Screening, Infertility, Infertility Treatment, PGS, Pick of the Month. Preimplantation genetic diagnosis (PGD) can be done during IVF treatment to identify embryos with genetic defects. The intention is to identify which embryos are healthiest and to avoid the use of embryos that will result in pregnancy loss. Additionally, the PGD process allows parents to avoid passing down a genetic disease. As with any medical procedure, PGD has pros and cons. Ultimately, there is no one answer about the use of PGD. It is a highly personal decision that each couple must consider. drjohnzhang, December 22, 2015. No Comments. Category: Genetic Screening, PGD, PGS, Pregnancy. During in vitro fertilization (IVF) treatment, doctors have a number of tools at their disposal to increase success rates. One of these tools is preimplantation genetic diagnosis, commonly referred to as PGD. PGD is a method of testing embryos during IVF treatment to determine if an embryo has a genetic disease or chromosomal defect. Both of these issues can result in pregnancy loss, so transferring healthy embryos is ideal to increase the likelihood of a live birth and healthy child. drjohnzhang, December 17, 2015. No Comments. Category: Fertility Treatment, Genetic Screening, Infertility Treatment, IVF, IVF Treatment, PGD, PGS. Although genetic testing of embryos has been done for years, the growing popularity of the process has raised ethical questions. Preimplantation genetic diagnosis (PGD) provides a method for identifying embryos with genetic diseases. Ethicists question if people should be able to decide which embryos survive and are implanted. Additionally, ethicists question which diseases should be eligible for PGD. Understanding both sides of the argument may help you make the right decision for your family. drjohnzhang, March 18, 2015. No Comments. Category: Genetic Screening, New Hope Fertility, New York, PGD. For couples at a high risk for genetic disease, the decision to have children is not a simple one. 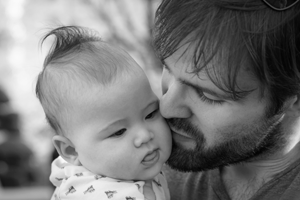 Couples must weigh their desire for children with the likelihood of a chromosomal defect. Thankfully, preimplantation genetic diagnosis, commonly referred to as PGD, allows genetic diseases to be identified in embryos as a part of in vitro fertilization. 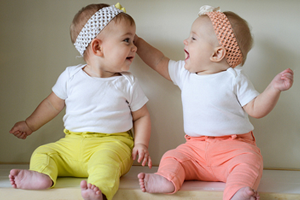 The embryos are tested prior to transfer and implantation to ensure healthy embryos are transferred. drjohnzhang, March 1, 2015. No Comments. Category: Genetic Screening, Insurance, IVF, IVF Treatment, New Hope Fertility, New York, PGD.